Cosy Up at the Carn Marth! 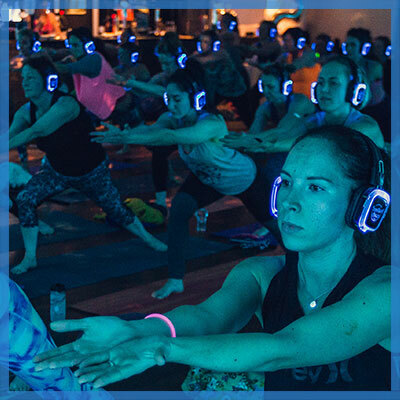 Join us on Saturday 23rd March at 5pm for two back to back Silent Disco Yoga sessions. You can find us in the warmth at the beautiful Carn Marth Hotel at North Fistral. We start with an UPLIFT flow yoga class and then follow this with a calming 45 minute MEDITATION practice. The UPLIFT session will be the first half of a two class special Silent Disco Yoga Event. Think Vinyasa flow yoga building energy through movement whilst listening to the sound of euphoric beats. On the day of the event you are welcome to come along to just the UPLIFT class or you can book yourself in for the double and stay for the MEDITATION session as well! A magical immersive yoga experience! 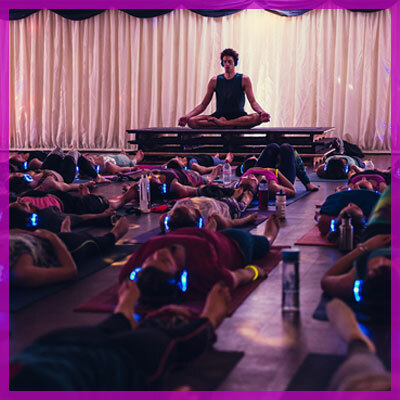 The all levels vinyasa flow class will be accentuated by wearing headphones and immersing yourself into a musical journey as you practice - don't worry, the headphones stay on! The class is taught using a microphone that you will also hear via the headphones and postures are choreographed to the varying rhythms of the upbeat playlist. Beginners are welcome and there will be options offered for all. Ticket prices for UPLIFT FLOW is £12. Children under 12 years can come for £6 when accompanied by an adult. What could be better than laying out comfy on your mat and listening to Stretch's calming voice guide you through a meditation with soft music playing through the headphones? This practice is suitable for anyone, including kids and even better if you bring a sleeping bag to wrap yourself up in as you lie back and relax!